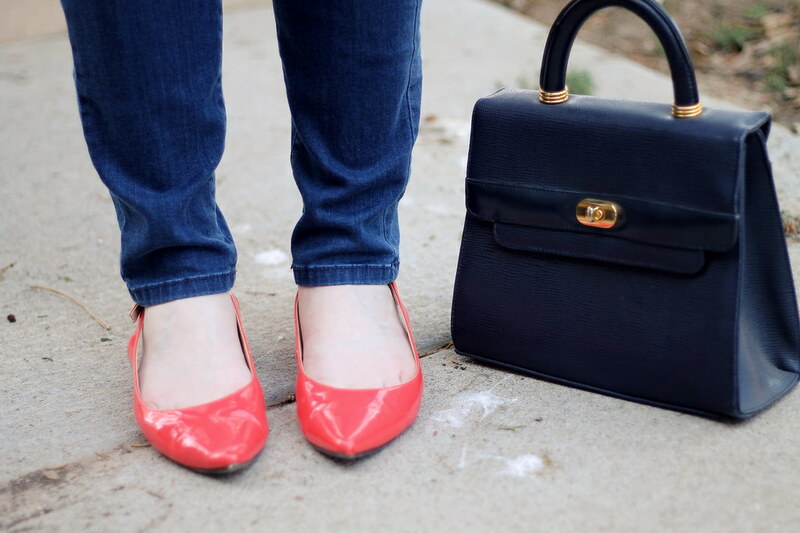 Sometimes the best outfits are those that need minimal accessories beyond a fantastic (vintage) bag, a bright pop of color and poppy lipstick. 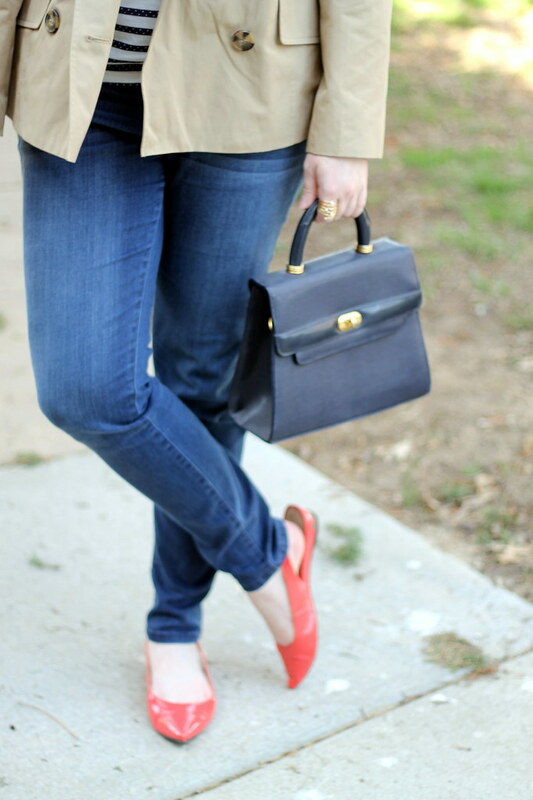 These pieces are what I reach for on those mornings when I feel I have absolutely nothing to wear. 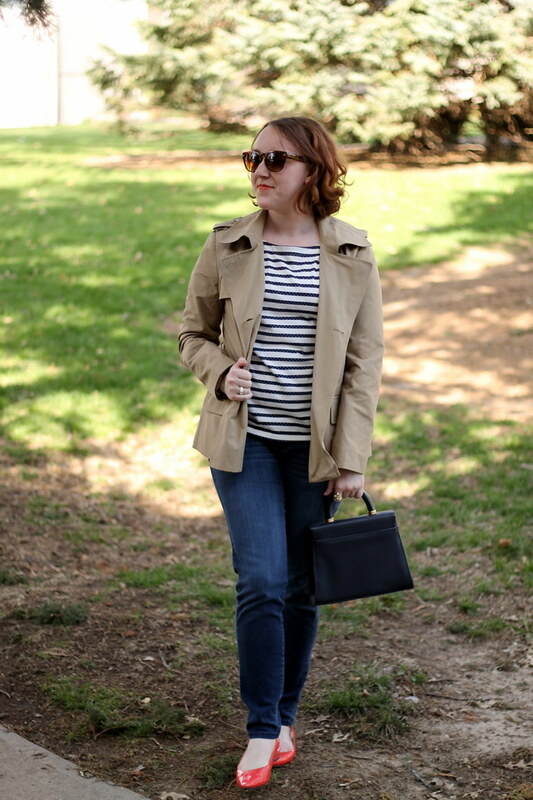 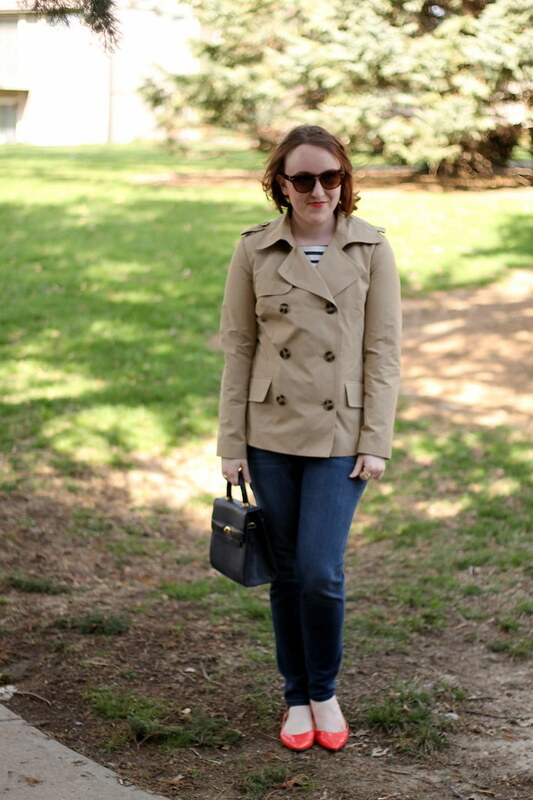 Nothing says springtime like nautical stripes and a trench. 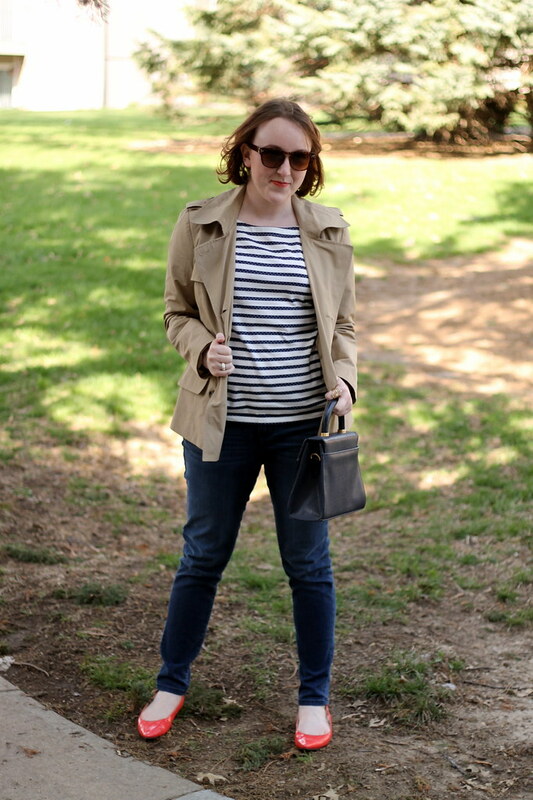 What pieces in your closet do you reach for when you “having nothing to wear”?